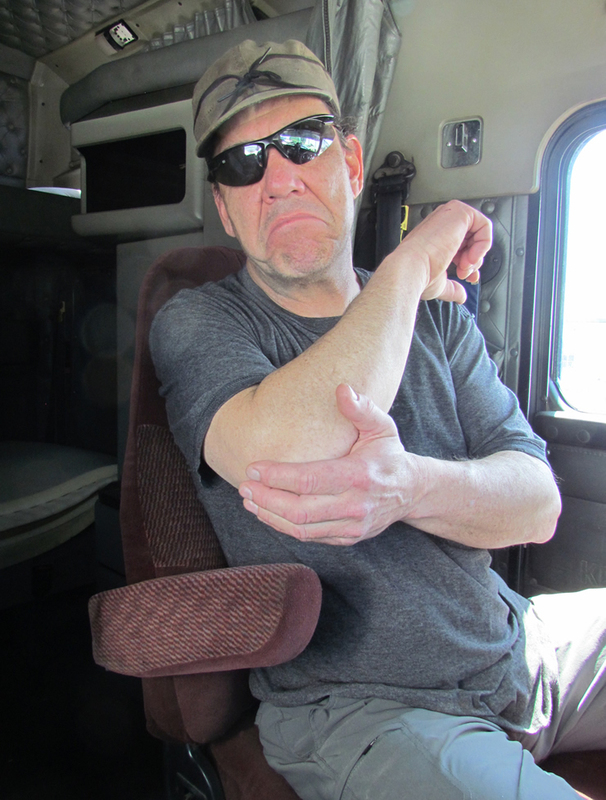 Elbow Saver is a cushioned, slip-on armrest cover for truckers’ elbows. Stretch fabric design allows it to fit almost any armrest out there! Give those tired, sore elbows a break! AFTER: A soft, plush pillow for your elbow! 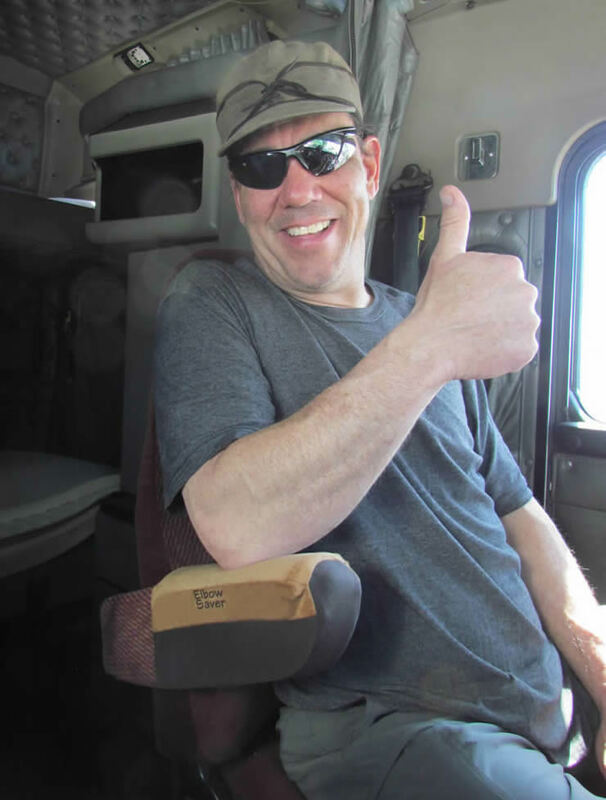 TruckerMatt’s Products was born and raised in Minnesota, and so was TruckerMatt. The products we design are hand-crafted in Minnesota. We are a Native-owned business and are proud to make all our products in the USA. Smooth, soft, durable, washable fabric. Will the Elbow Saver™ stay put on my armrest? Will the Elbow Saver™ reduce Elbow fatigue? How will I know if it is going to fit my armrest? We don’t know if our new underwear will fit until we try them on, The Elbow Saver stretches to fit most armrests that are used in trucking. However, if you have one of those giant armrests, or a skinny one, email us at info@elbowsaver.com. and we can make you a custom fit Elbow Saver. Bet the underwear makers won’t do that for ya! In the remote chance that you don’t like, and want to return your Elbow Saver™, we will gladly offer a refund. Please contact us at payments@elbowsaver.com and we will figure out what to do. I drive a 1984 379 Pete and my armrests are worn out. My elbows were sore, my skin was chaffed, and my whole arm hurt by the end of the day. I put the Elbow Saver on, and instantly I knew that my elbow was going to be saved. I was so happy when they put me in my brand new 2016 truck. After driving for one day, my elbows were sore. I got an Elbow Saver, and I slipped it on my armrest, and turned that rough factory upholstery into a nice soft cushion for my elbow. Copyright © Elbow Saver. All Rights Reserved.